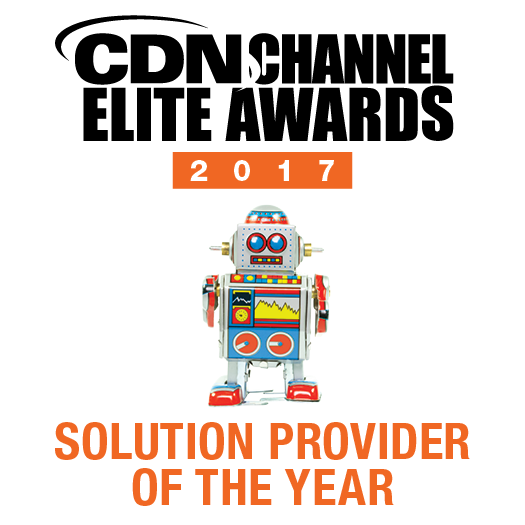 i3 Solutions is Awarded Solution Provider of the Year • i3 Solutions Inc.
TORONTO, ONT. 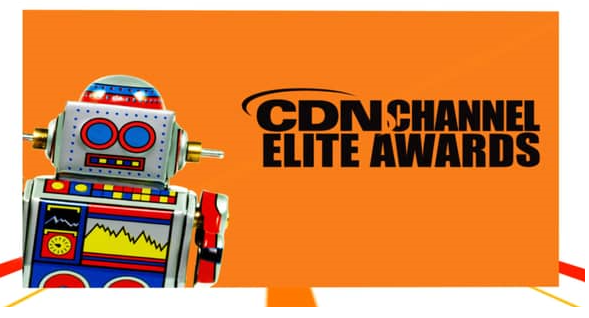 September 28, 2017 – i3 Solutions is pleased to announce they have once again been awarded the Solution Provider of the Year at 2017 CDN Channel Elite Awards, thanks to the successful delivery of their flagship healthcare product, Panacea™. 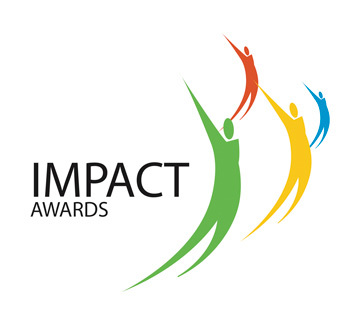 The top award of the night recognizes a total end-to-end IT Solution that has solved a major customer problem or eliminated many IT pain points, through proven company knowledge and expertise required to provide both IT innovation and exemplary customer satisfaction. 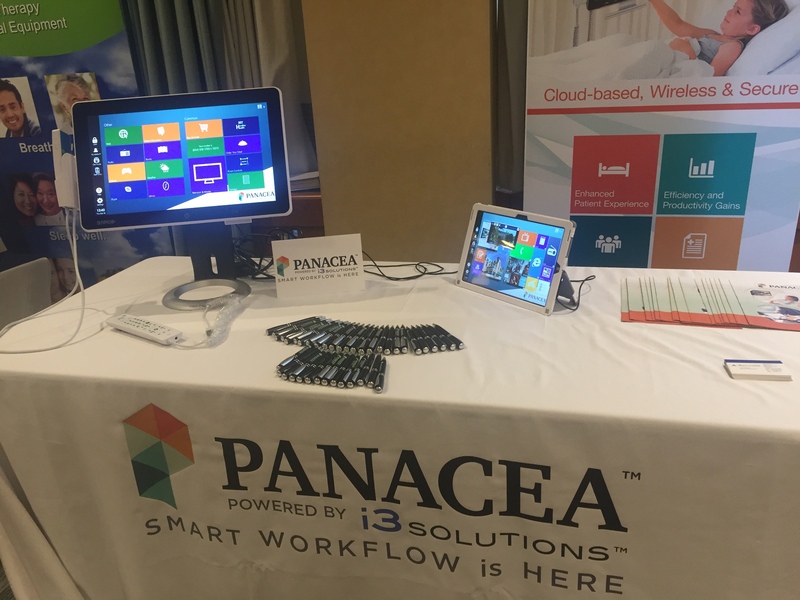 The i3 Solutions team also took home the Gold Award for Best Mobile Solution, which recognized the company’s latest innovation – Panacea™ delivered on medical grade Microsoft Surface Pro tablets, allowing patients and caregivers to access Panacea™ anytime, anyplace and anywhere. i3 Solution’s fully-managed service offering was recognized with a Silver Award for Best Managed Services Solution. i3 has once again proved that their managed services go above and beyond the competition, allowing for nurses and clinicians to focus on what they do best—patient care—and not be distracted by patient queries on the system. With the use of Panacea™, hospitals have reduced administrative duties by at least 30%. 2017 has been quite the year for i3. 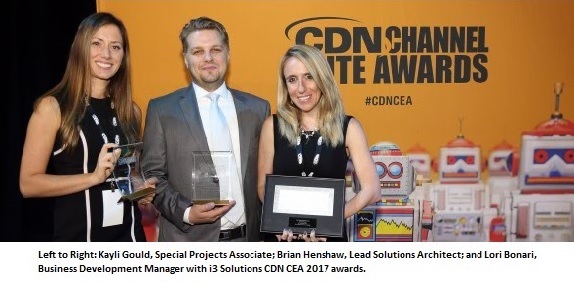 The company recently took home the Windows 10 Innovation Award at prestigious Microsoft Impact Awards. These big wins for i3 and Panacea™ are just the beginning of something much larger. i3 will soon be delivering a new wearable device that will extend the reach of Panacea™ from the hospital to the home. The solution will track vital signs and feed the data back to medical staff. Panacea™ is going to be the interface between a patient and the healthcare community. Stay tuned – i3 Solutions & Panacea™ have big innovations ahead. At i3 Solutions we specialize in helping businesses move from complicated and expensive, to simple and value-based. We help make IT infrastructure and applications a strategic asset so that our clients can focus on business without worrying about IT. i3 Solutions provides web-based application software, infrastructure support, network monitoring and managed services in the healthcare, manufacturing, non-profit and financial services sectors. Their Healthcare solution, Panacea™, is an award-winning solution that delivers 21st century healthcare right to the patient’s bedside, improving their hospital experience with instant access to entertainment options while at the same time allowing hospital staff to use the unit to review clinical records and charts. Panacea™ is radically changing the patient experience in hospitals while, at the same time, reducing workloads, stress and time spent on administrative duties for doctors and nurses. For more information about the Panacea™ solution, please visit www.i3inc.ca/panacea.